EZ CD Audio Converter is a complete audio suite that features CD ripping, audio converting, and disc burning. It is designed to provide best user experience with its excellent user interface and ultimate audio quality. It includes only the audio components and codecs that provide the best audio quality. It is optimized to utilize the power of the multi-core and multimedia features of the processors and can run up to 8 parallel conversions and it is optimized to take advantage of multimedia features of processors, whenever there is a performance benefit. Burn audio CDs, MP3 CDs, and data discs. 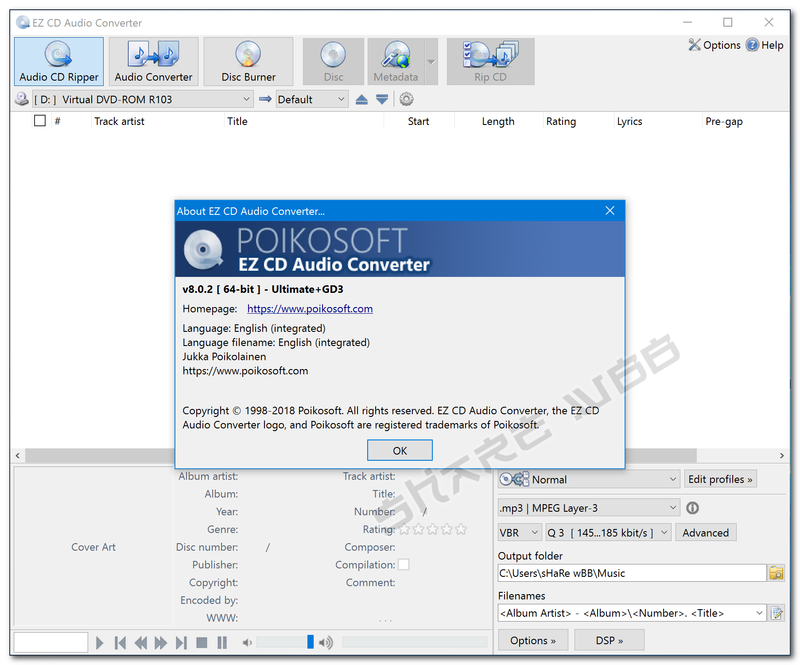 EZ CD Audio Converter is high DPI aware multi-language Unicode software with 35+ languages included.